In Wingfield Park there is a small cemetery and Memorial Hall. It contains a plot for the Smith family, and over seventy-four plots of mainly Wingfield Park, Fritchley and Crich families. There are also some cremation memorial stones, a war memorial and a small chapel. Wingfield Park Hall, near Buckland Hollow, with an estate of approximately 350 acre was the final home of German Wheatcroft and subsequently of his son David. German was the principal carrier on the Cromford Canal and David was the father of Captain German Wheatcroft who was killed at Lucknow, India November 1857 during the Indian Mutiny. A marble monument to Captain Wheatcroft is on the north wall of the chancel in Crich church. The Hall was purchased from the Wheatcroft family by Francis Nicholas Smith in 1872, together with the estate which extended to the hamlet of Wingfield Park. On Coalburn Hill off Lynam Road, above the lace thread spinning mill, was a private cemetery which belonged to the Wingfield Park Hall estate. Burials within the cemetery date back to 1878/1879. 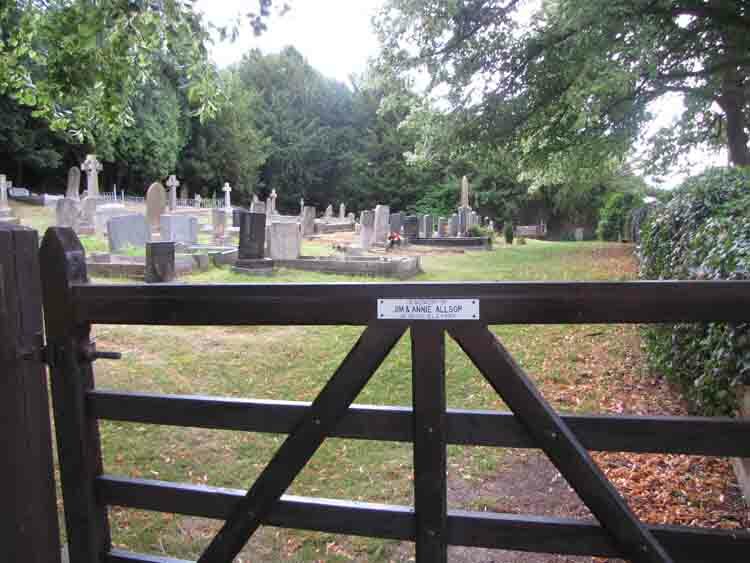 The grave yard is still in use today but is the responsibility of South Wingfield Parish Church, although it is often referred to as the Smith Cemetery. A plot of six graves belonging to the family of FN Smith, more than a hundred additional burials, a small cenotaph and some cremation memorial stones all record the deaths of many previous residents from the area. 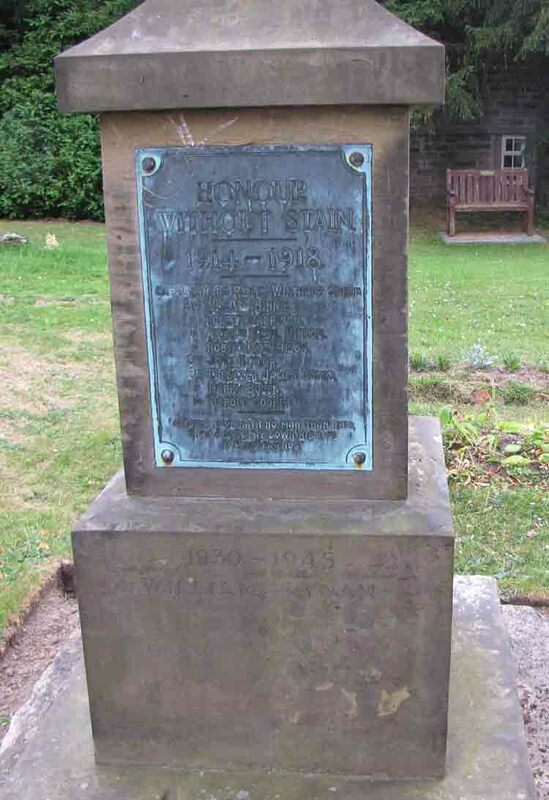 Some of the monuments were from stone excavated from the nearby quarry which was worked by Jack and Harry Bramley of Coalburn Farm. 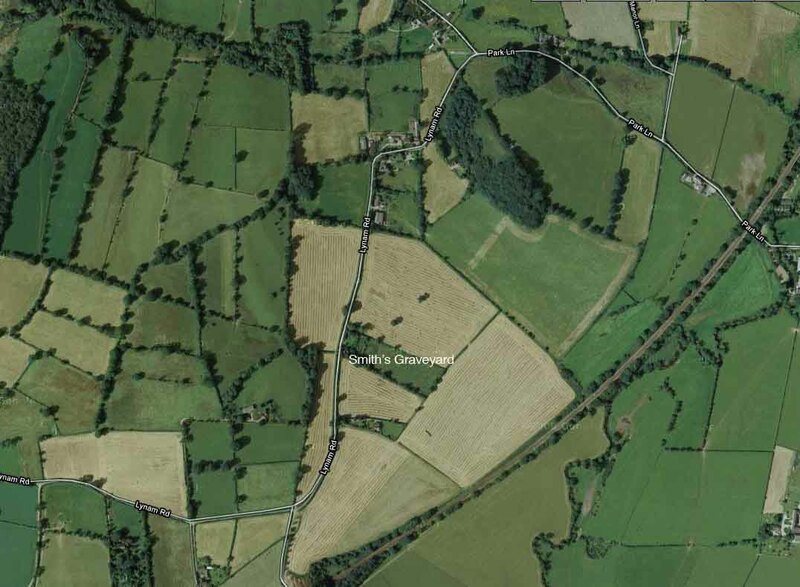 The stone was shaped and engraved by the two brothers at their farm opposite the quarry. Francis Nicholas Smith was the second son of Martin William Tucker Smith, a Liberal party Member of Parliament and his wife Louisa, née Ridley [the daughter of Sir Matthew White Ridley, 3rd Baronet] Many of his ancestors had entered politics and his grandfather, John Smith, was a Tory MP and a member of the family which owned the Smith’s Bank group of companies. He became a partner in the London bank, Smith, Payne and Smiths. Francis was educated at Eton and Trinity College, Cambridge. He married Florence Catherine Drury-Lowe, daughter of William and Caroline Esther Drury-Lowe of Locko Park in 1868. [Caroline was a daughter of Lord Scarsdale, Caroline Esther Curzon]. Francis and Florence had three daughters, Violet Esther Drury Smith, Florence Louisa Felicia Smith and Rachel Mary Elizabeth Smith. After the early death of his wife Florence, at the age of thirty-six in 1879, Francis married Constance Ella Winthrop, the youngest daughter of the late Revd Benjamin Winthrop of London. Together they had a son Bernard Ridley Winthrop Smith and a daughter Esme Helen Winthrop Smith. Ella died aged 72 in 1929 and Bernard, unmarried, was killed in WW1 aged thirty-two. 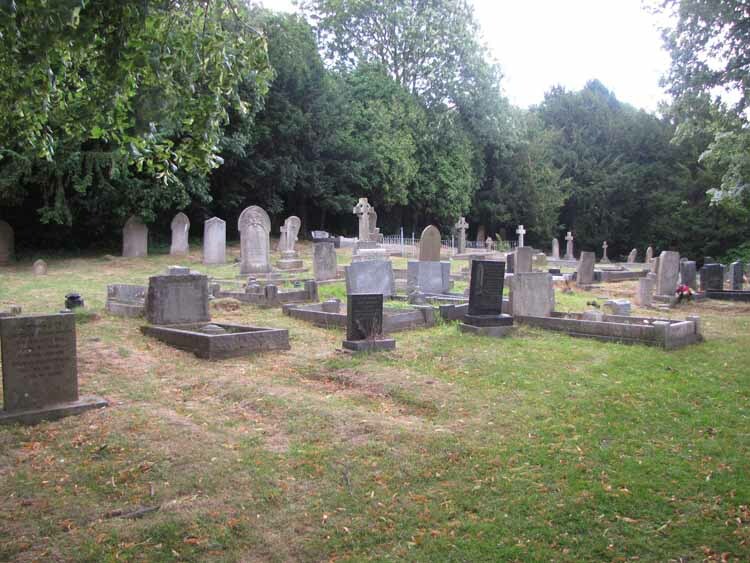 Francis, his mother, two wives, daughter Rachel and son Bernard are all buried in the family plot in Wingfield Park cemetery. From 1860 until his death in 1927 at the age of eighty-nine Francis Nicholas Smith was a JP, had been High Sheriff in 1907 and was also Deputy Lieutenant of Derbyshire. From 1868-1888 he was a partner in Samuel Smith and Company, a firm of bankers. He was also chairman of the directors of Wingfield Manor Colliery [Oakerthorpe] prior to its acquisition by the Clay Cross Company in 1920 and a director of the West Hallam Colliery Company. Following the death of F.N. Smith the inhabitants of Wingfield Park and his three surviving daughters Violet, Florence and Esme, erected a hall in ‘grateful and affectionate remembrance’ of him. The hall was opened and dedicated 15th December 1934 and is still regularly used for its original purpose as a place of worship and community centre. Inside the hall are plaques dedicated to some of the deceased residents including Sarah Hambleton, a member of the congregation when the hall was opened for worship and great aunt to three regular members of the congregation today. Prior to the hall being built there was neither church nor chapel in the hamlet but a Sunday school was held in an upper floor of a building belonging to Boden Farm. Direct access from the road was gained via external stone steps. Fond memories are treasured today by those who attended the Sunday school in this era. One highlight was c1936 when they entered the South Wingfield Carnival and gained First Prize for their float ‘The Wedding of Jack and Jill’. (see the photograph on page 00) In the 1960’s the Sunday school held at the hall was still flourishing with over 20 attendees every week but it closed some 10 years later due to the reduced number of children in the hamlet and consequent lack of attendees. 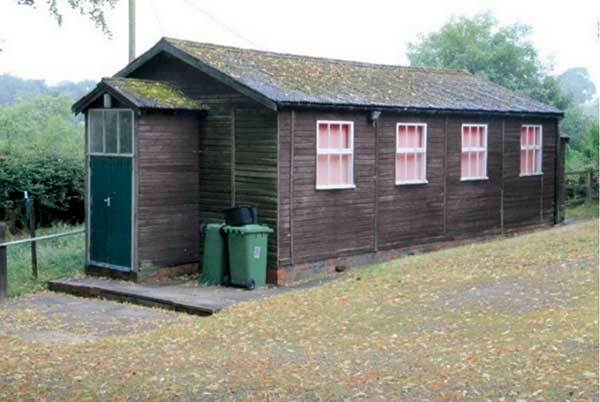 The hall has been regularly used as a community centre and early recollections are those of tea parties on the children’s sports days that were held annually in a nearby field. In later years the hall has also been the venue of many other parties including wedding receptions, christening celebrations and birthday parties, but the most memorable one is possibly the celebration of the Queen’s Silver Jubilee. In addition to the parties, talks and film shows have been very popular at the hall and the social activities have also included day trips to places like Alton Towers and Trentham Gardens. Sunday worship continues to take place in the hall each month and attracts a relatively large congregation. On 22nd September 1998 a Confirmation service was held in the hall, conducted by Bishop Jonathon of Derby, and eleven of the congregation from Wingfield Park affirmed their faith. Many of the current congregation were present at that service, some of whom were confirmed that day. The most popular services, perhaps not surprisingly, are the celebrations for the Harvest and Christmas, and the service of Remembrance for those lost during the wars. The latter service is primarily conducted in the hall but the actual act of remembrance takes place at the cenotaph in the cemetery. At Harvest Festivals the hall always enjoys an extremely large display of produce donated by the residents of Wingfield Park and the surrounding area. Not only is the service of thanksgiving well attended but so is the sale of the produce held the following day which is very competently auctioned by Joy Barker, ably assisted by Vera Osbourne, cachier for the evening. At Christmas, concerts given by the RJN Singers have been very popular and on many occasions additional seating has been necessary. This record was taken and indexed by Valerie Jones (née Lynam) in March 2001, with a few additions by Peter Patilla in 2010. He died at Ripley. Grandfather of Maria. Born 4 Aug 1872. "of Mill House SWP"
"sister of above" Born 22 Jan 1871. "wife of late John Leonard Burrows and mother of Kathleen"
52a William Hunt 2 Oct 1879 75 He died at Ripley. Grandfather of Maria. 67b Annie Mary Markendale 22 Jan 1953 82 sister of above Born 22 Jan 1871. Bernard Ridley Winthrop-Smith Bernard was the only son of Francis Nicholas Smith of Wingfield Park and Constance Ella daughter of the late Rev Benjamin Winthrop of 82 Cromwell Road, London. In 1905 he was awarded his blue for rowing at number 6 in the Cambridge crew against Oxford in the varsity boat race. A nephew of Sir Gerald Smith K.C.M.G. a former Lieutenant-Colonel of the Scots Guards Winthrop-Smith was gazetted a 2nd Lieutenant in the regiment on the 1st August 1905. He was promoted to Lieutenant on the 14th May 1910. On the 13th August 1913 he was seconded for service under the Colonial Office and appointed A.D.C. to Sir Harry Belfield K.C.M.G. the Governor and Commander in Chief of the East African Protectorate. At the outbreak of the war Windthrop-Smith obtained leave from the Colonial Office to rejoin his regiment in France which he did during October 1914. At this time the 1st Battalion Scots Guards formed part of the 1st (Guards) Brigade as part of the British 1st Division. The Division was one of the first units in France at the outbreak of war. When Winthrop-Smith joined them in October 1914 they were taking part in the "first" battle of Yrpes which lasted from the 14th October to the 30th November 1914. The British casualties for this period were 6,237 of which 281 were officers. On the 8th November 1914 whilst his Regiment was at the front near to Ypres he was given orders to attack and retake a trench on the flank that had been occupied by some German troops after it had been vacated by Zouaves. Leading his platoon over open ground he was struck by a bullet from a shrapnel shell. He sustained a compound fracture to the base of his skull. He was evacuated that afternoon to the Poperinghe field hospital before being removed on the 11th November to Christol base hospital in Boulogne.With his parents by his side he never regained consciousness and finally passed away on the 15th November 1914. On the day of his death he was made up to Captain due to fact that all subalterns both junior and senior to him in the regiment were promoted to that rank. The book by Colonel A. Clutterbuck Bond of Sacrifice (August-December 1914, a biographical record of British officers who fell in the Great War) describes Captain Smith as an exceptionally fine man, 6' 5" tall and broad in proportion. 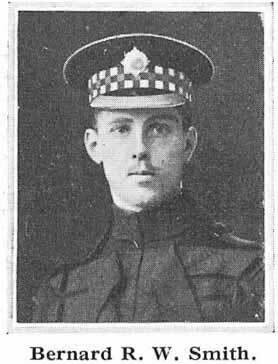 He was much liked by the men of the right flank company of the 1st Battalion of the Scots Guards and by his brother officers. His body was brought back to England and was buried in the private cemetery at Wingfield Park. Bernard was the only son and heir who was unmarried at the time of his death.